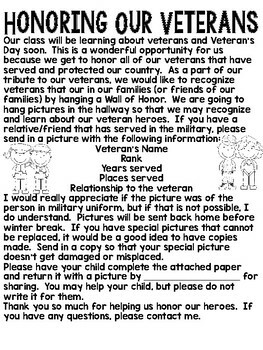 Here' a great way to honor those who have served our country. 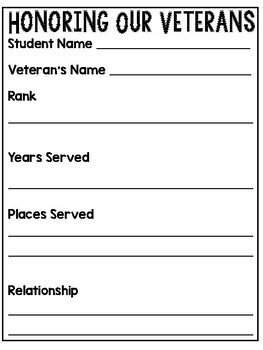 Students will interview a veteran and share the information with the class. 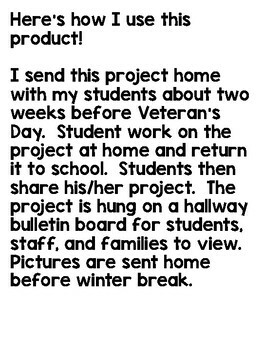 As a class, an Honor Wall will be created with all interview projects and pictures displayed. 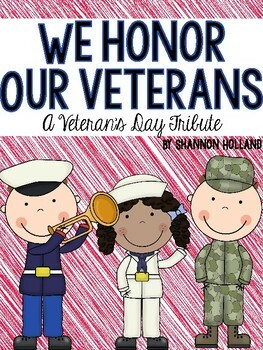 What a great Veteran'd Day tribute!